The BMW Mini is fitted with a TRW ABS pump and is the same type of ABS module right across the range from 2001 – to present. 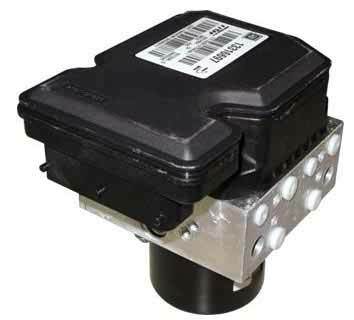 It is a common failing part and very expensive to replace and replacement ABS pumps require coding. We’re able to fully test and repair this type of ABS pump and rebuild the unit using new genuine components to ensure all BMW Mini ABS repairs meet & exceed OE specifications. We offer a lifetime warranty with the repaired unit and professional fitting services are available if required. Below is a BMW Mini ABS Pump application list showing you the wide range of Mini’s this type of ABS unit is fitted to. It is not a complete list so not to worry if you cannot see your vehicle listed. Tags : 15803010, 15803010N, 15803010P, 15803012R, 15803709, 15803711, 54084902D, 54084944B, 6782311, 678231101, 678457701. Hi, I have a mini Cooper r56 2007. I have Recently been inforemed the abs pump has gone. If i remove this And Send it to you how much would it cost and how long would it take? Would it meed recoding after? brakes work but pedal slowly goes to the floor .master cylinder replaced no difference. could abs module be the cause? Yes, this problem can be caused by the ABS pump. I’ve sent you an email with full information and pricing. I’ve mini one 2002 and needs its abs pum/ecu repaired or replaced. Please email me quote. I have a 2011 clubman with the traction control, brake and tire pressure warning lights on. I’ve replaced the steering angle sensor as this wasn’t reading as I’d expect but that made no difference. I also have fault codes D36a, d36b, d36c and d375c present and not clearing. Does this sound like the ABS moduel and if so could you give a price to repair please? The fault codes look like they are detecting a communication error between ABS > Transmission. It could be the ABS module at fault but there are many reasons for this type of fault to occur and it will need to be thoroughly diagnosed. We do test all units before remanufacturing and if it’s not faulty, we return it with just a testing fee. Valve timing faults are often stored in the Engine module and relating to the valves in the cylinder head, not the ABS module. However, different diagnostic equipment will translate fault codes differently, so it’s possible the machine you’ve used to retrieve those trouble codes is not correctly outputting the fault information. 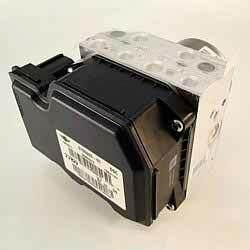 I have sent you an email with information and pricing based on the most recent BMW Mini ABS unit’s we’ve remanufactured.